Things you should know when taking leave without pay. We see that you are taking a break from policing and embarking on a period of leave without pay and we hope that you enjoy your time away from the job. As you prepare for a period of leave without pay there are a few things that you should consider. The information presented here will assist you to make some important decisions about your TPAV membership over this period. We also want to remind you that the support of our experienced team at TPAV is only a phone call away during this time should you need help with your return to work. Please – stay in touch with us during your absence, and give us a call if you have any concerns or need our support. While you are not at work on unpaid leave you may choose to defer your TPAV membership subscriptions over this period. If you do however, some of the TPAV benefits that you normally enjoy will change and you should consider the following information before commencing leave. While you are not at work on unpaid leave you may choose to defer your TPAV membership subscriptions over this period. If you do however, some of the TPAV benefits that you normally enjoy will change and you should consider the following information before commencing leave. Just because you are not at work, this does not mean that you will not need to call on our welfare services. In fact, often when members are away from work, they find the need to call on TPAV for support. While we are hopeful that you won’t need to call on us, we want to be sure that we can help you if do during this time. For only three dollars a fortnight you will be able to maintain full access to our wellbeing benefits. 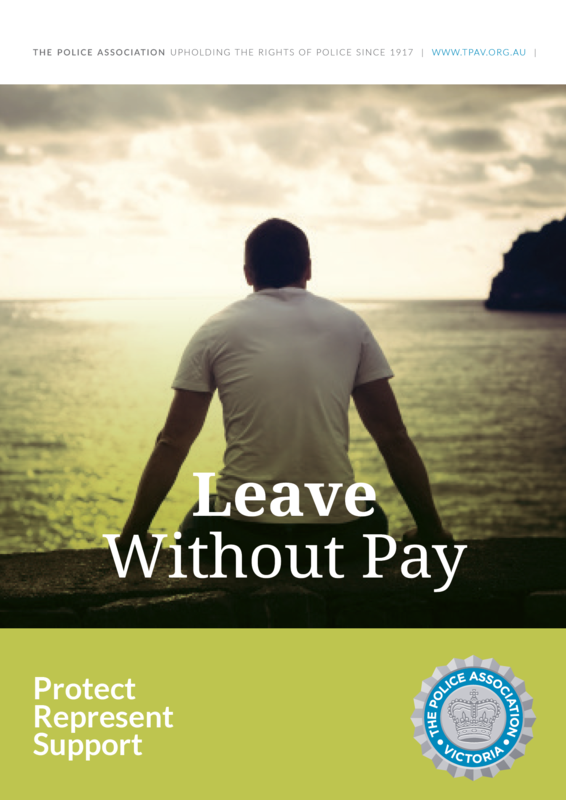 Leave without pay is not counted as service and so your time away from work will have an impact on your incremental progression, superannuation, long service leave accrual, and eligibility for service medals. There are some situations when your leave may be approved as service, for example, if you are taking leave to work for another government agency. If you have questions about the effect of leave without pay on service-related entitlements you should contact our industrial relations team. If you wish to undertake employment elsewhere while on leave without pay you should seek approval from Victoria Police for Secondary Employment to comply fully with Victoria Police Policy. Our legal team can provide you with advice regarding secondary employment applications. To discuss the impact that your leave without pay may have on your superannuation we recommend that you contact ESSSuper on 1300 650 161. While you are on leave without pay you will most likely stop making contributions to the defined benefit component of your superannuation. 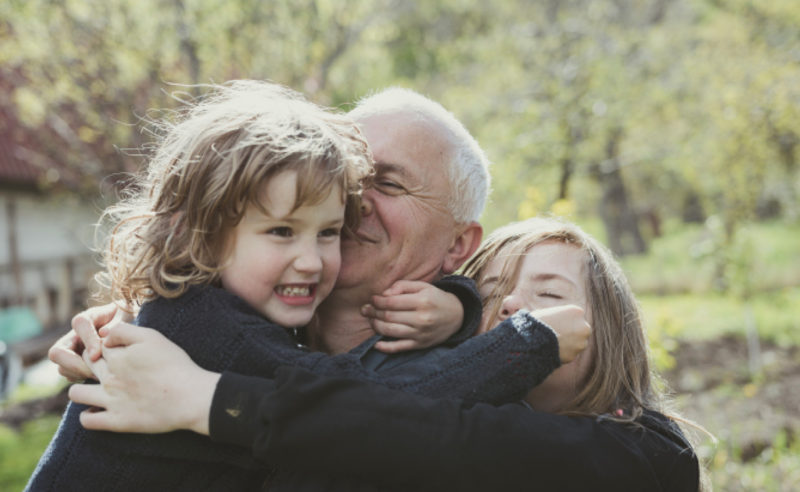 Whenever you take leave without pay for 28 days or more, the death and disability cover that is built into the Emergency Services & State Superannuation (ESSSuper) ceases. To maintain this important cover during your absence, you can make a single payment to ESSSuper that is calculated at two percent of your salary at the time of your departure from Victoria Police. To do this, you should call ESSSuper on 1300 650 161 or visit their website to obtain a leave without pay advice information sheet,and then contact your Victoria Police personnel officer to obtain apayment figure that is based on your salary. This form can then bereturned to ESSSuper for processing. While you are away you may wish to apply for an extension to your leave without pay or return to work early. Your initial and any subsequent request to take leave and the employer’s response must be in writing and can only be refused on reasonable business grounds. If you are on leave without pay, and wish to return to work earlier than expected you will need to provide Victoria Police with three months advance notice. Shorter notice can be accepted in order to facilitate a member’s prompt return to work. Leave without pay is an enforceable feature of the current EBA and should you require assistance or advice regarding your application you should contact our industrial relations team.